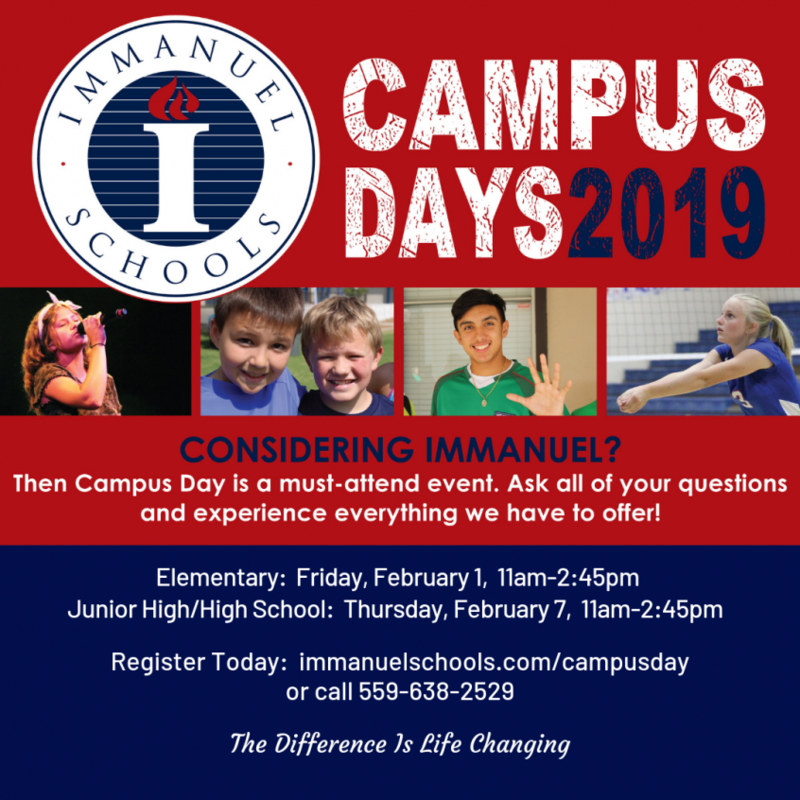 Campus Day is for potential students and families who are considering Immanuel for their education. This is your opportunity to learn about Immanuel and have all your questions answered. It’s a first-hand look at our campus and a time to meet faculty and staff. For students, it’s a time to meet fellow classmates and experience what it means to be an Eagle. Free lunch provided!